Utec's reputation is an extension of Wilson's reputation in quality and reliability and we do, whatever it takes, to protect this hard-won record of our quality Management System. A fact that has been recognized with an ISO 9001 certification. it is an integral part of the operations of our business, aimed at achieving customer satisfaction, continuous improvement and the prevention of non-conformity. 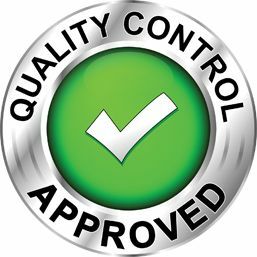 Maintaining a strict quality system including requirements to protect the environment, also enables us to offer a compressive warranty on all products.